I’ve written several stories that include the quarry town of Stout, Colorado. 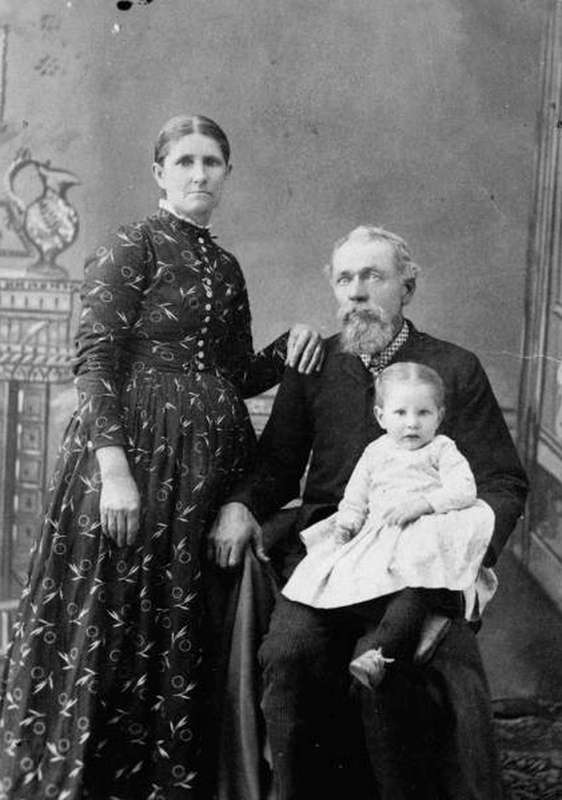 (Pioneer Life, a Life of Sacrifice and Sorrow; Hugo Frey – Tales of Adventure from a Native Son; and The Flowers of Bellvue all included connections to Stout.) But what I really long to do is take a walking tour through the area. 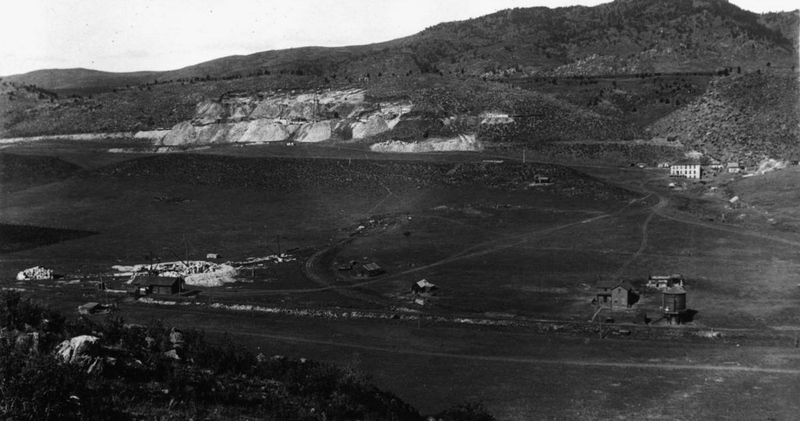 Much of it is now under the Horsetooth Reservoir. But thanks to several alert readers (Thank you!) 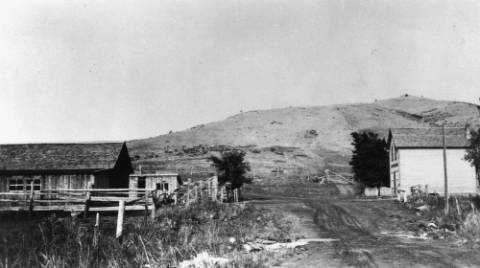 I’ve discovered that the place where the hotel stood is still above water on the south end of Horsetooth. Here’s a short photo tour of what Stout looked like back in the day. All of these photos are from the Denver Library Archive online. The area around Stout looked a lot like any other small town in Colorado. It was dry and dusty with prairie grasses encroaching on the roads. This photo makes clear that Stout wasn’t just a quarrying town. There were ranchers and homesteaders as well. It’s interesting to note that the Wathen house was built of stone, as one would expect in a quarry town. But the post office and the farm buildings were all made of wood. 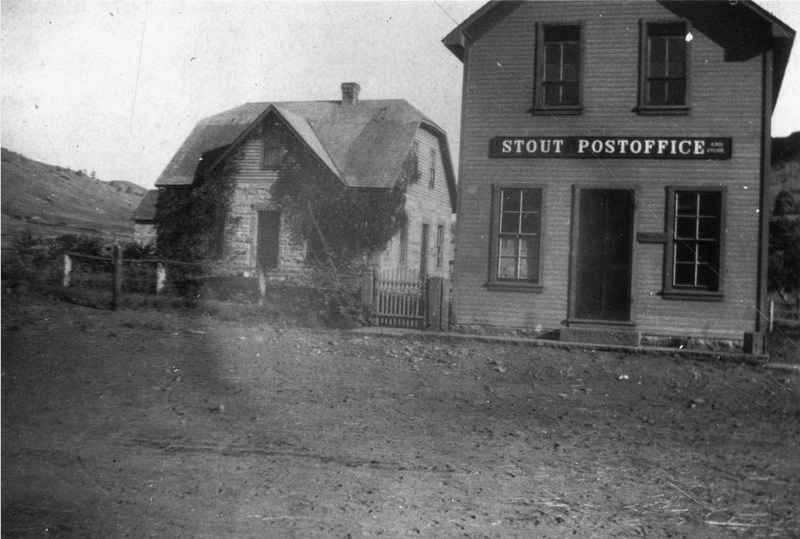 A note attached to this photo states “This post office was finally moved to Lake St. in Fort Collins, was later stuccoed and made into a home.” Can you imagine moving a house from where Horsetooth is now all the way to Lake Street in Fort Collins! 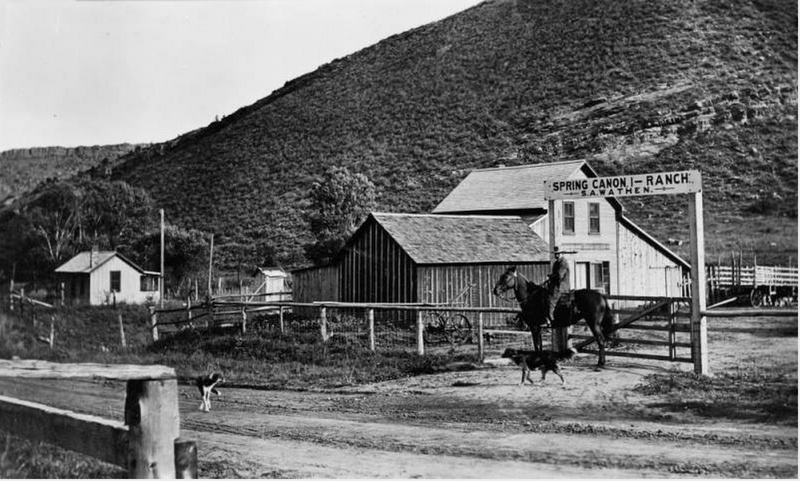 The Wathen’s property was also called Spring Canon Ranch. I did a cursory glance through some old newspapers that mentioned the Wathens and turned this gem up. 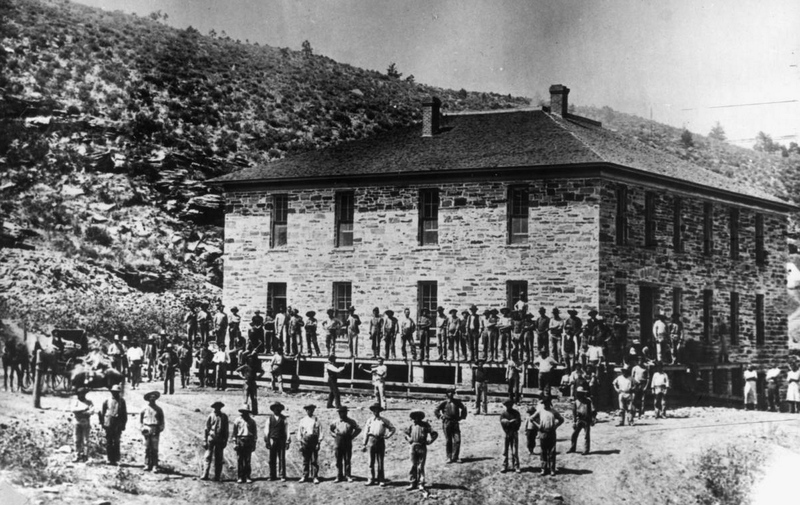 Many of the workers in the quarry were immigrants. Some were able to bring their wives, though it certainly wasn’t an easy life for them. 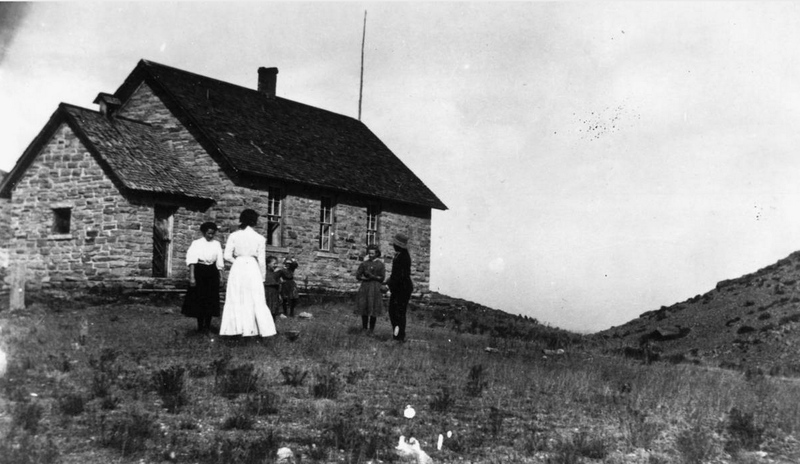 This school house would likely have had students that spoke English, Swedish, and possibly other languages as well. The hotel is visible in the background of this photo. And the train line is easy to see through the center of the photo. The trains would haul the quarried rock out of Stout to Denver, Chicago, and several other big cities. In the late 1940s, the remaining buildings in Stout were moved and dams were constructed to create a reservoir for water storage. Water is piped from the headwaters of the Colorado River on the other side of the Continental Divide to fill Horsetooth Reservoir. 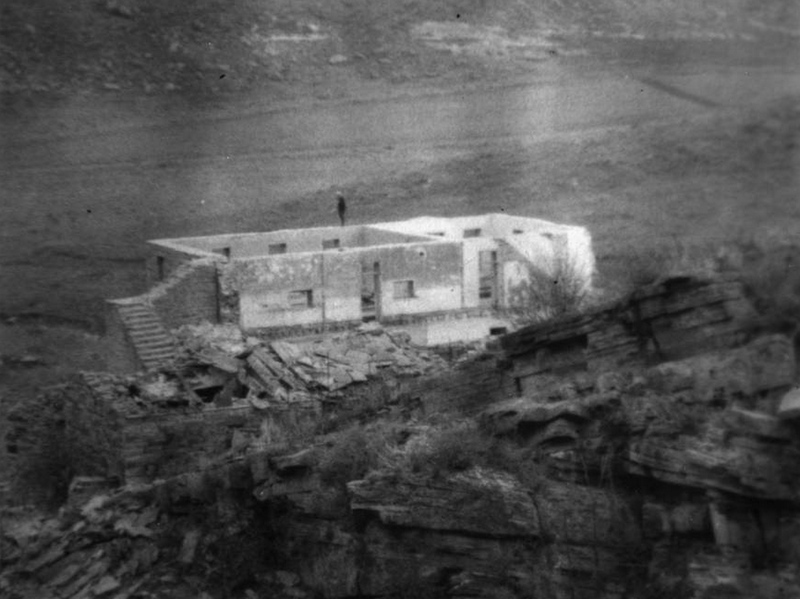 The ruins of the hotel are still above water on the south end of the reservoir, and the owner of the property where the hotel once stood sent in this photo of the ruins today. 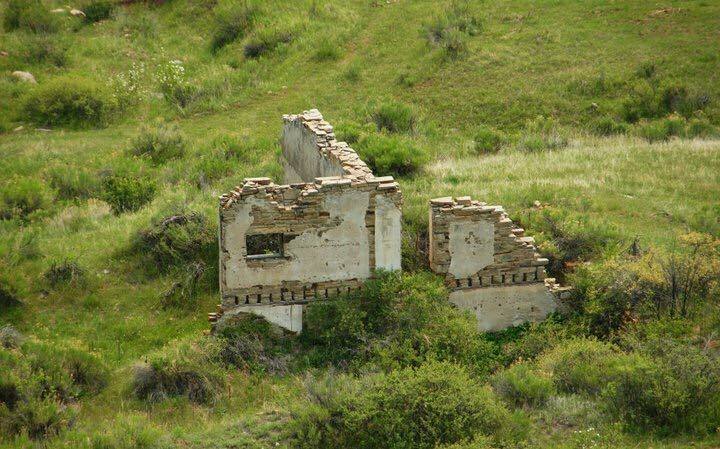 These ruins are on private property and are not accessible without permission from the landowner. I really appreciate the work you do! The whole idea of a town existing where there is now a lake completely boggles my mind as well. I’ve since found out that the hotel and train tracks in the old photos were in a place that’s still above ground. Several alert readers sent me Google Maps links and there’s even a photo of the remains of the hotel today. I’ve updated the post, but you might need to refresh the page to see the changes. Great article on Stout – with many images I have never seen before! And I learned a ton. I didn’t realize the town was on the south end of the reservoir. For some reason I thought it was closer to Lory State Park. Any chance you would share the Google map links to where you can still see the railroad? I’m trying to find out where it was/how you can still get to it. Thank you! Hmmmm. I think the links were shared on Facebook. I’ll see if I can dig them up. Thank you, thank you, thank you! What a wealth of info. 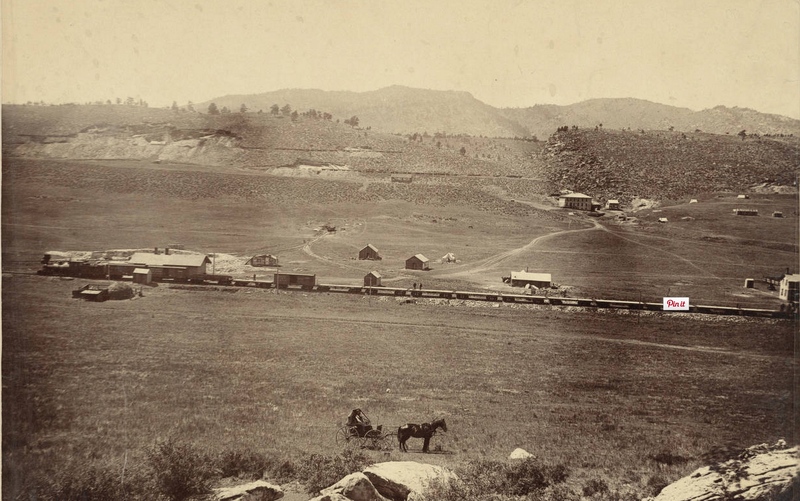 I am interested in the old railroad on account of a scavenger hunt of sorts, but I recently got a metal detector so I am starting to really be interested in Fort Collins area history in general. So glad I found your site and Facebook page. Thank you again for the response!